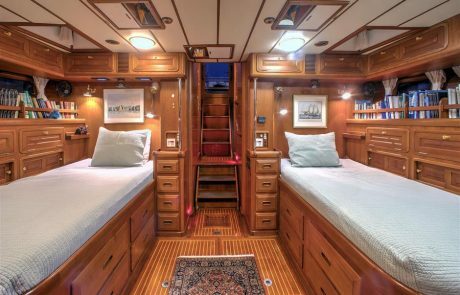 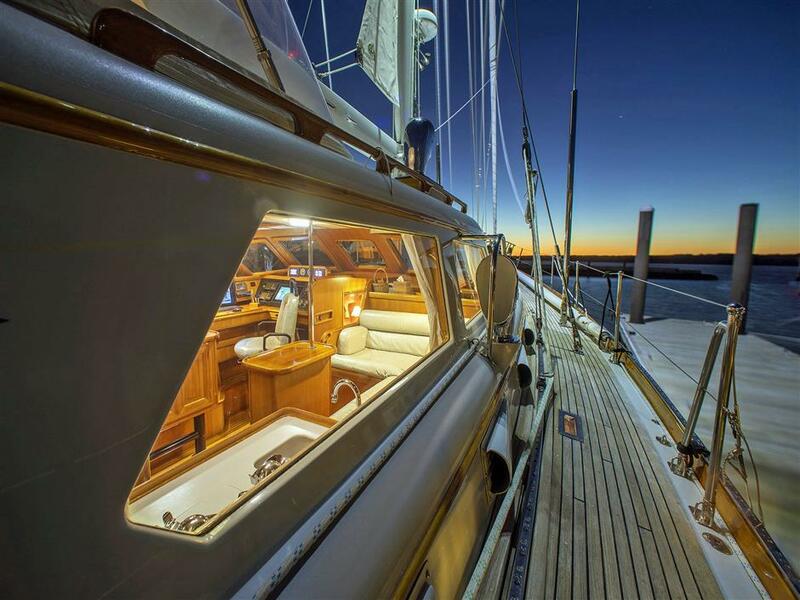 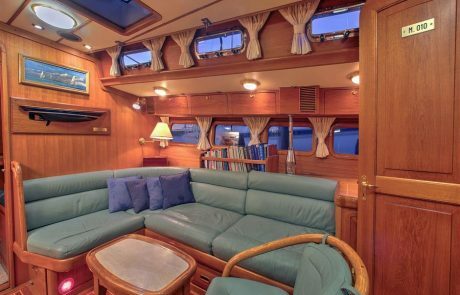 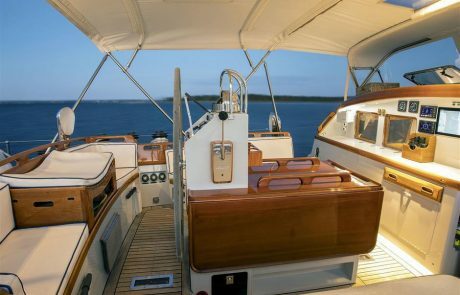 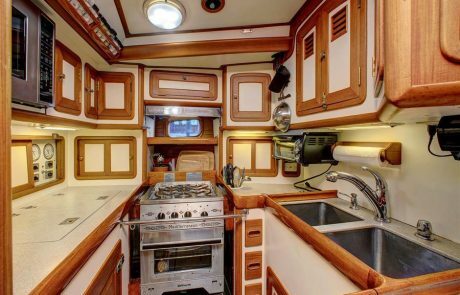 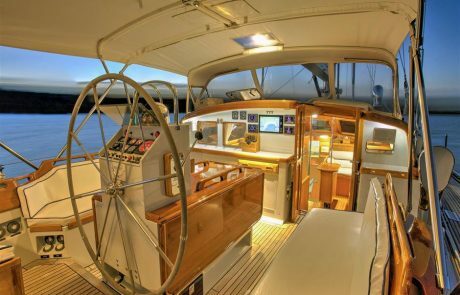 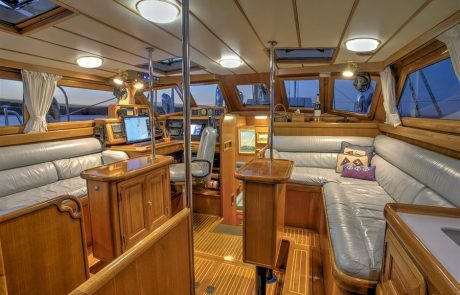 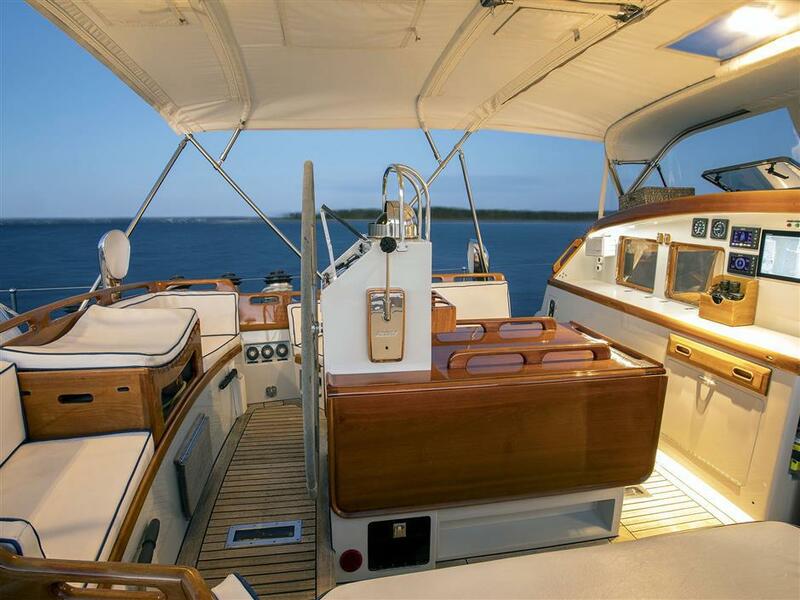 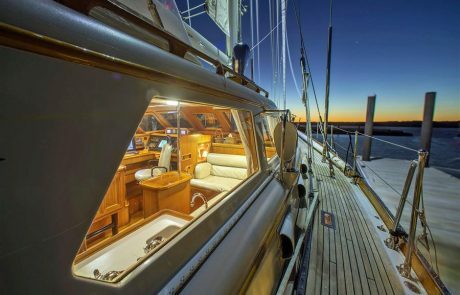 Throughout PALAWAN, the interior joinery is all of fine­grain teak done to the level of fit and finish for which Little Harbor Custom Yachts is renowned. 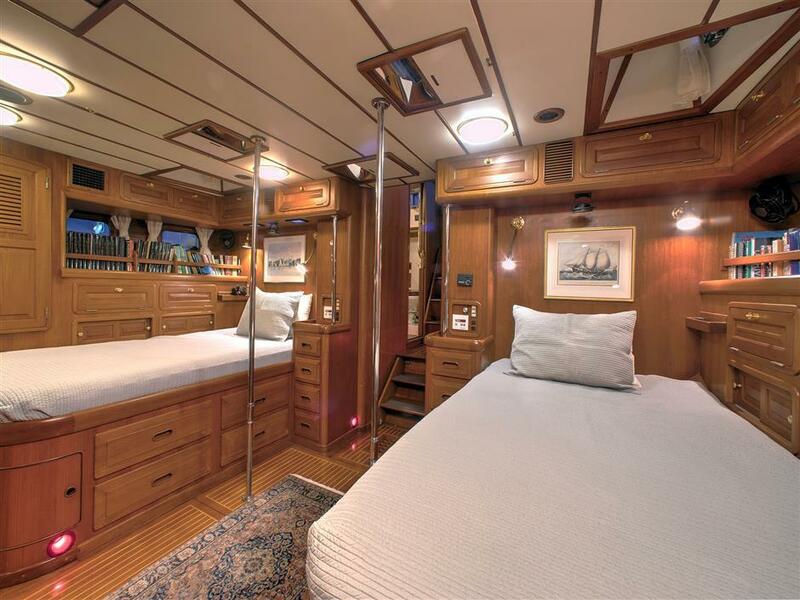 The cabin and locker doors are raised floating panel, the drawers are dovetailed raised panel, the floors are solid teak and holly and the hatch screens are recessed. 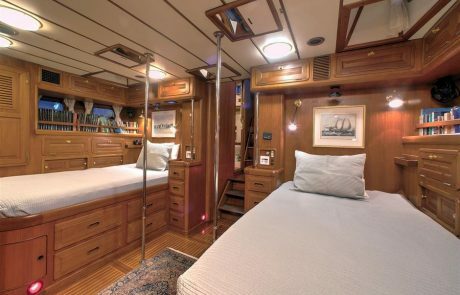 The hanging lockers are cedar lined, and hardware and light fixtures are gold plated. 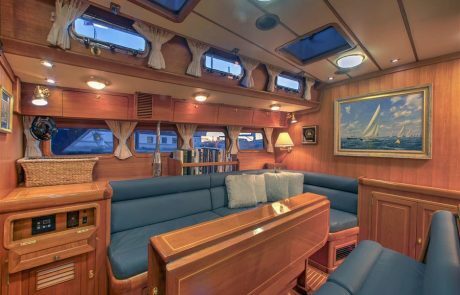 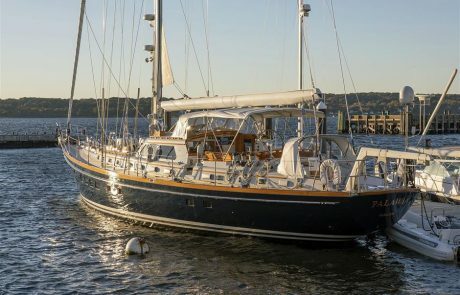 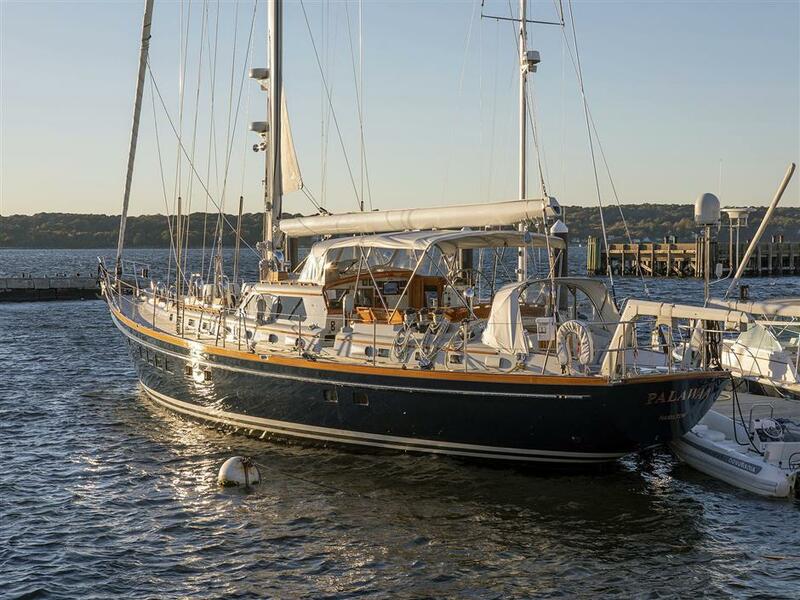 She is simply one of the most exquisitely finished, detailed and well thought out yachts that one is apt to find. 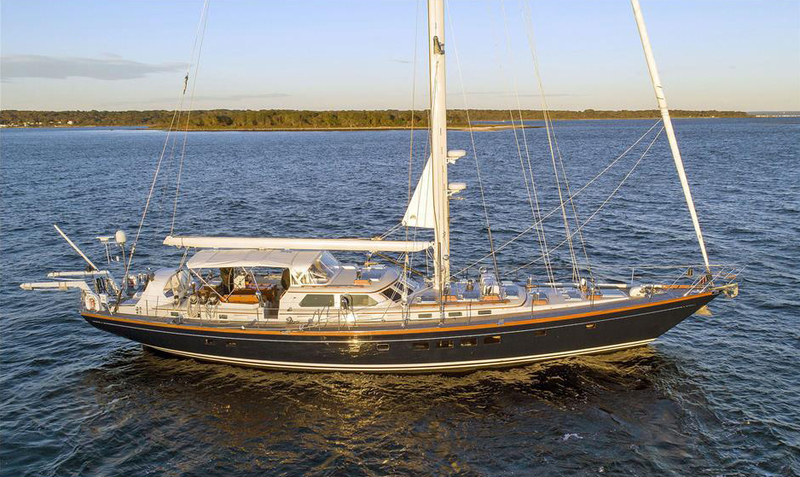 PALAWAN’s shoal draft of only 6’ – 6” offers gunk­holing capabilities in a serious offshore world cruiser designed for comfortable passagemaking. 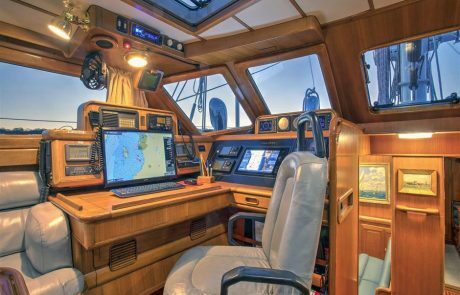 With a centerboard and trim board, delta form hull, a large rudder and Max­Prop protected by a skeg and a powerful bow thruster, PALAWAN can be maneuvered easily in tight quarters and in all conditions. 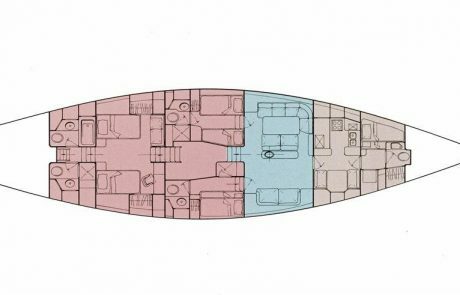 The yacht is fully air conditioned with seven independent zones and heated by separate Espar heating system for northern climates. 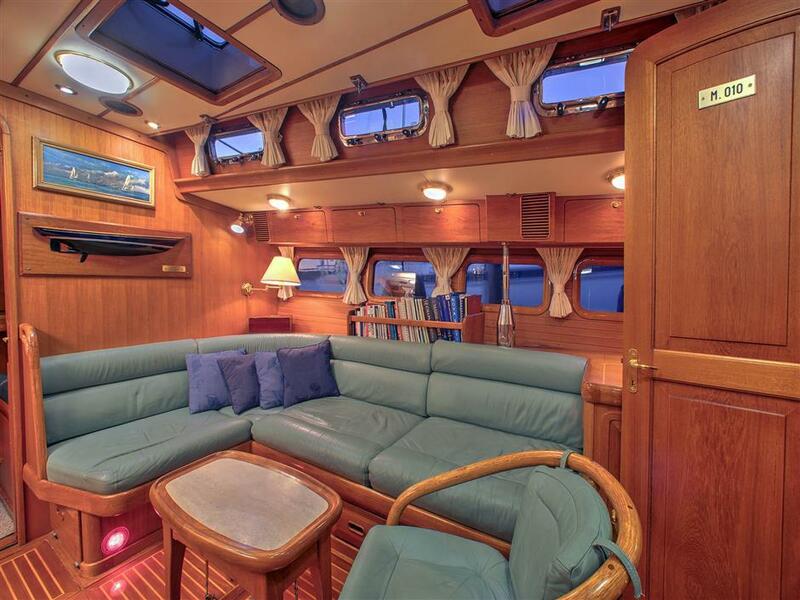 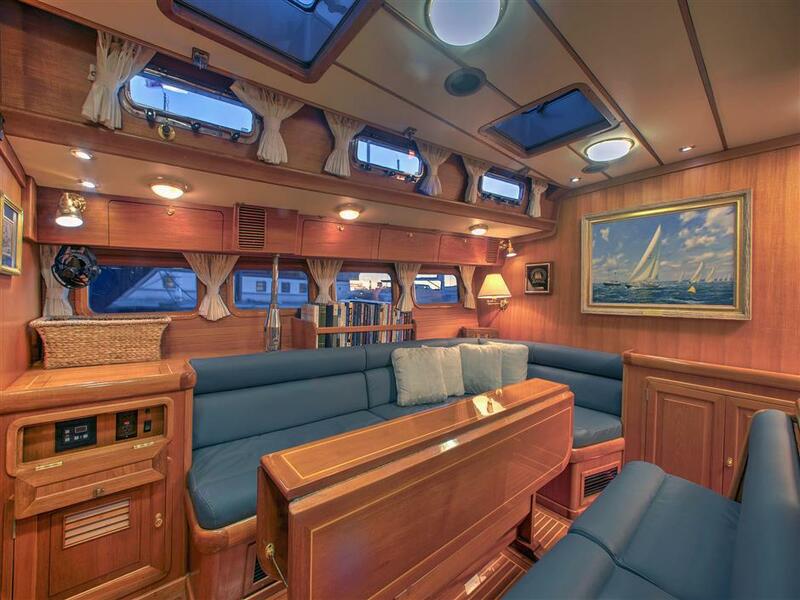 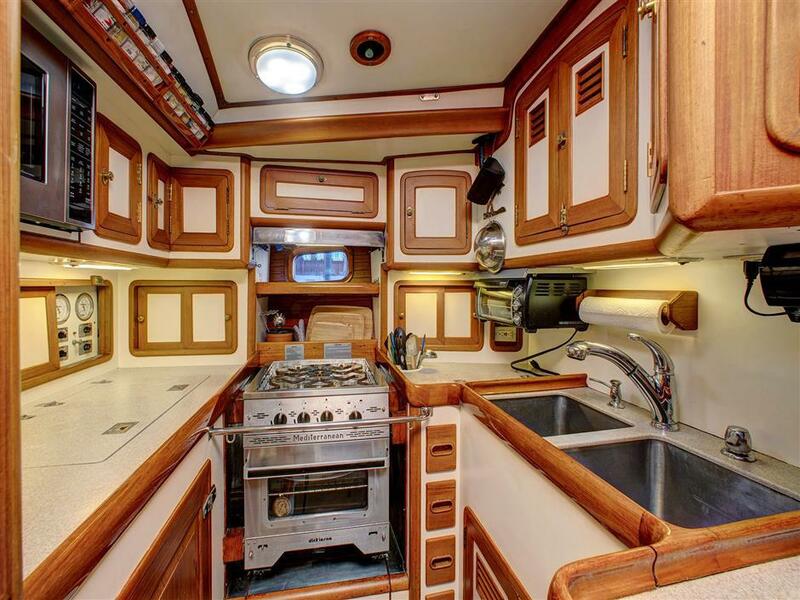 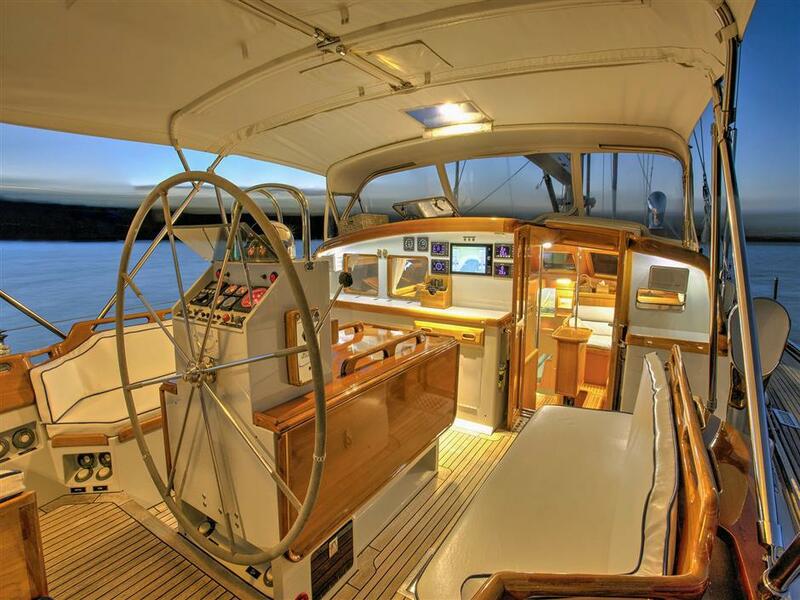 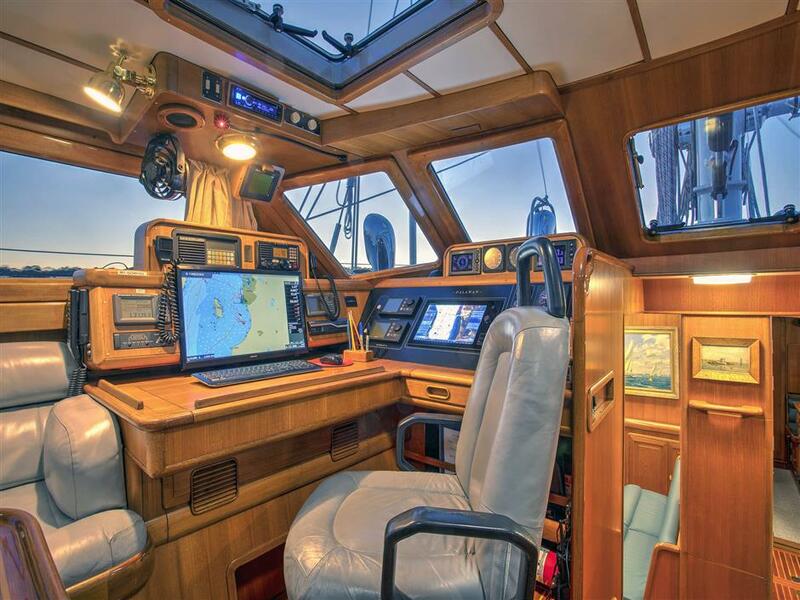 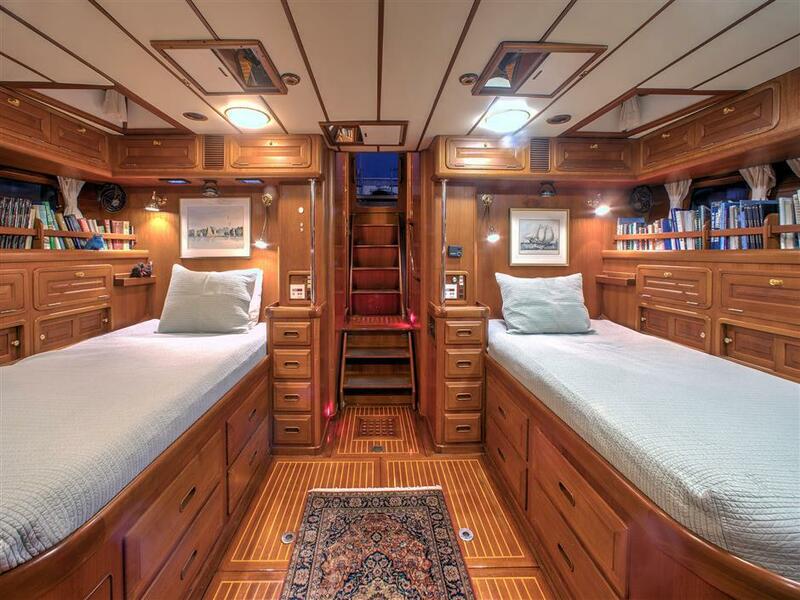 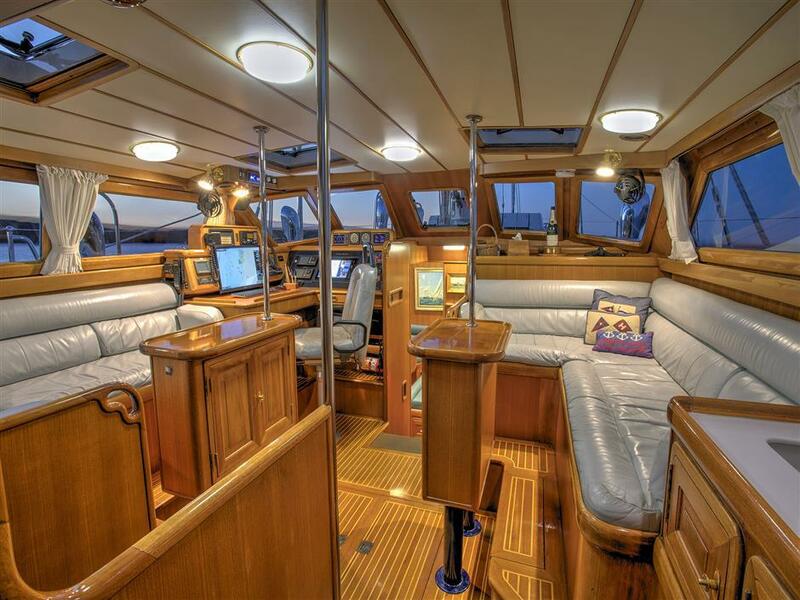 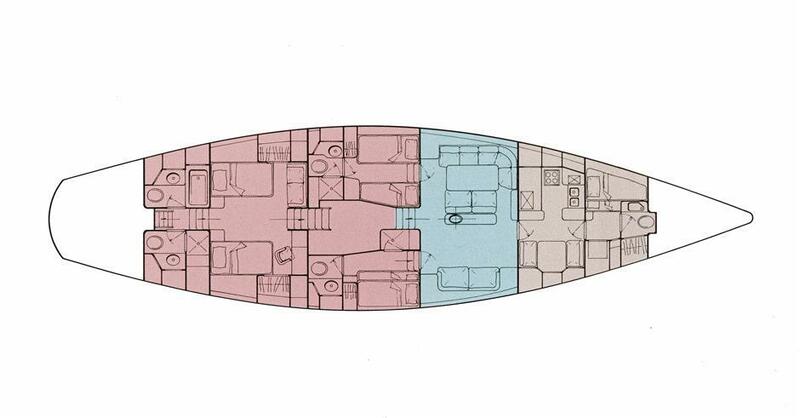 Natural light and ventilation is provided by numerous hatches, portholes, windows and dorade vents.